Learn about Workers Compensation Shop.com programs available in Arkansas. Find your state work comp rates and class codes for Arkansas. View and complete AR workers' compensation forms and applications. Find more information about Arkansas work comp insurance. We've developed Pay As You Go worker compensation programs that reduce or eliminate premium deposits and allow Arkansas employers to report and pay premium based on actual payroll wages. Reduce your audit risk. Give us 10-15 minutes and we'll get to work finding your very best deal on work comp coverage. 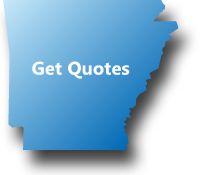 We work with some of the lowest priced workers compensation insurance carriers doing business in Arkansas. Arkansas Rates Need Help With Arkansas Class Codes? Rates on Workers' Compensation Coverage in Arkansas are some of the cheapest in the nation. On average they are 42% cheaper than the rest of the country, making it the third cheapest state in the country to purchase work comp. Still many businesses are not taking full advantage of all the programs available to help them save on their work comp coverage. Insurance rates vary significantly between NCCI classification codes. Let our AR Workers Compensation Specialists help you determine your correct workers compensation class codes before you buy a policy. We'll help make sure your business is properly covered. We're a National Agency, and we have tons of carriers offering work comp in Arkansas. 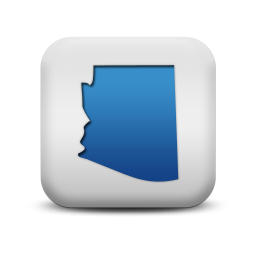 We have access to over 35 insurance companies with a diverse appetite and competitive rates. Our markets know we expect the lowest rates, bigger discounts, and more policy credits when we request a quote. Did you know that the cost of a workers comp policy in Arkansas can vary significantly between insurance company, underwriter, and insurance agency? Most employers with 3 or more employees are required to have workers' compensation coverage in the state of Arkansas. Sole Proprietors, Partners, Corporate Officers and LLC Members are all included in coverage, but may elect to be exempt. Exclusion forms in the state of Arkansas are company specific. It is important that you check with your insurance company to ensure you are filling out the correct form if electing to exclude yourself. When an Arkansas worker is working temporarily in another state, workers comp coverage for that worker is governed by the provisions found in Arkansas statutes. Not all states allow benefits to be transferred back to the primary state. Reciprocity governs coverage for a worker from another state who is working temporarily in Arkansas. Sole proprietors, Partners and LLC members if included for coverage must do so at a payroll amount of $41,000 (Last changed by the state on 08/01/2018). Corporate Officers who are included for coverage must do so at a payroll minimum of $41,600 and a payroll maximum of $166,400 (Accurate as of 8/1/2018, last changed by the state on 01/01/2018). At Workers Compensation Shop.com we offer programs with flexible payment options like Pay as You Go Workers Comp because we know how important cash flow is to your business. The Pay as You Go Programs lowers your up-front costs and offers you real-time monthly reporting for your premium payment. Give us a call today at 888-611-7467 or get started online. We've already helped thousands of Arkansas employers buy more affordable coverage for their business.